DWM Properties provides home watch services and property management for travelers, snowbirds, cottage owners, homes for sale, and absentee homeowners in the South Bay Region. More and more people are away from their home due to business obligations, vacations, or other personal matters. Since absentee homeowners aren't easily available to handle emergencies, attend the overseeing of repairs, or perform basic errands, caring for a home can be a challenge. As well, most insurance companies require that someone check on a property at specific times, which can be a burden for absentee homeowners. DWM Home Watch will assist you in protecting and maintaining your investment, providing peace of mind while you are away. Whether you're away for a few day or several months, don't leave your property to chance. 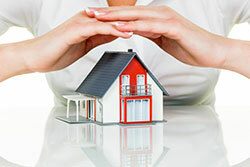 We will ensure that your home is secure and looks lived in as long as you are away. A customized checklist of services will be created to meet your requirements. A partial list of our services has been provided below. If you need a service that you don't see, please ask us. If we can't do it, we know who can. Remember that DWM Home Watch works for you as your agent. Our job is your peace of mind. DWM Home Watch will act as your local contact for such immediate concerns as alarm, fire/police, neighborhood associations, deliveries etc. - a liaison to you. Someone to make local decisions for you in your absence.